Enter in your name, email, phone # below to lock in our special pricing now! What's Hiding In Your Air Vents? Not too long ago I can home from a week long vacation from St. George. During my stay down there I hardly ever had to use my inhaler, but after just 24 hours back in my home (I work from home) I had used my inhaler 3 times! I knew something was wrong. I started researching and discovered that poor air quality inside your home can cause serious issues. In addition to the asthma & allergies, I was getting sick very consistently. It was my air vents. 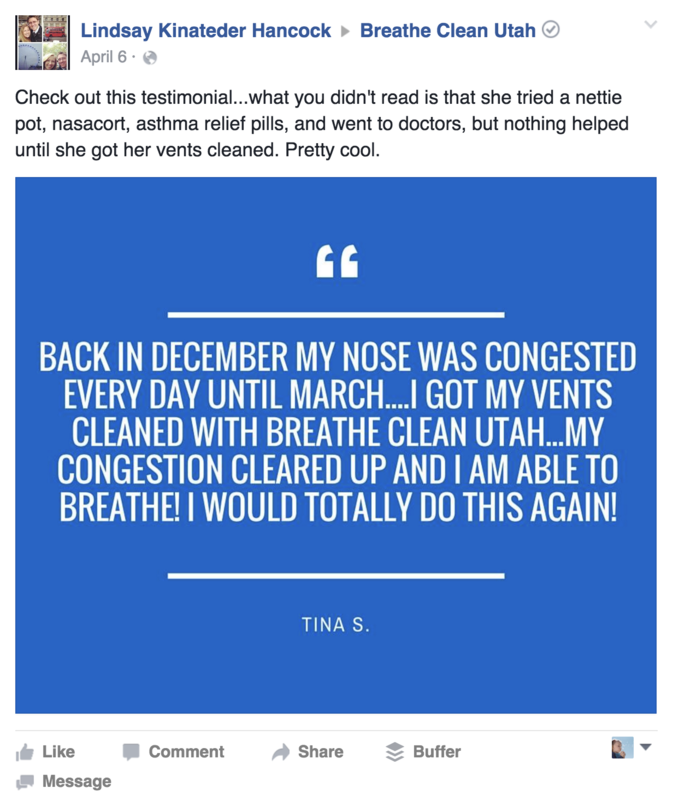 It's time for you to stop the allergies, stop the sickness, and breathe clean! 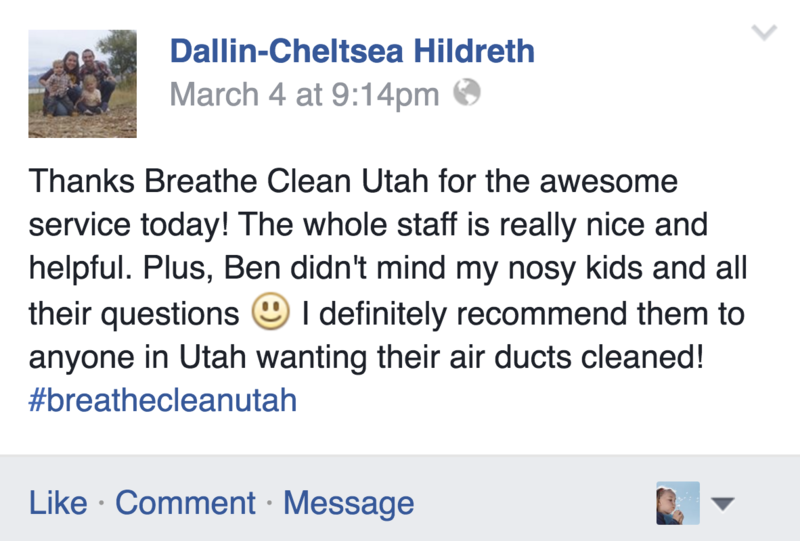 - Dewey Denning | Co-Founder | Breathe Clean Utah, L.L.C.